How much you make depends on how you run your business. 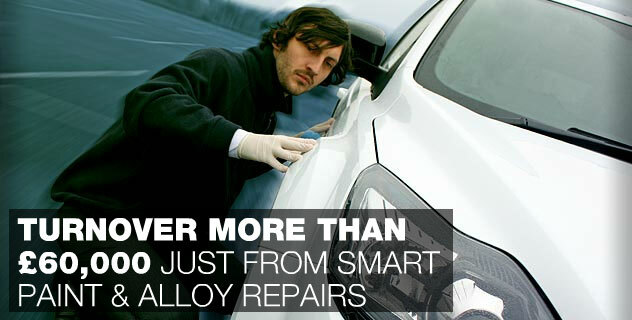 How you manage costs, whether you have opted to take SMART paint repair and alloy wheel refurbishment. 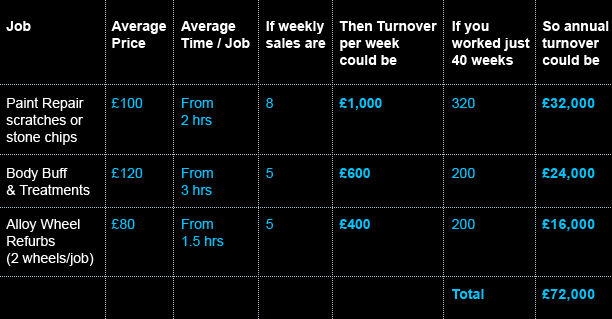 How quickly you grow to add more sales, staff and vehicles, what part of the country you're in and how much hard work you put into your car body repairs business. Colour Wizard® and Alloy Wizard® have built an enviable client database which includes local car dealerships, fleet, leasing and insurance companies as well as the general public. Because we are so good, they keep coming back to us for more. So you can build a more secure future from your very first job. Better Systems. Better Potential Profits. Our system is designed for you to enjoy the highest possible sales and profitability because our training and systems mean that you can provide the highest quality services in the least time at the best price to the most clients. And, unlike some of our competition, we allow you to serve both private car owners and the potentially lucrative car dealer market.